I keep creating new journals because I'm bored and don't know what else to do and I love this forum. 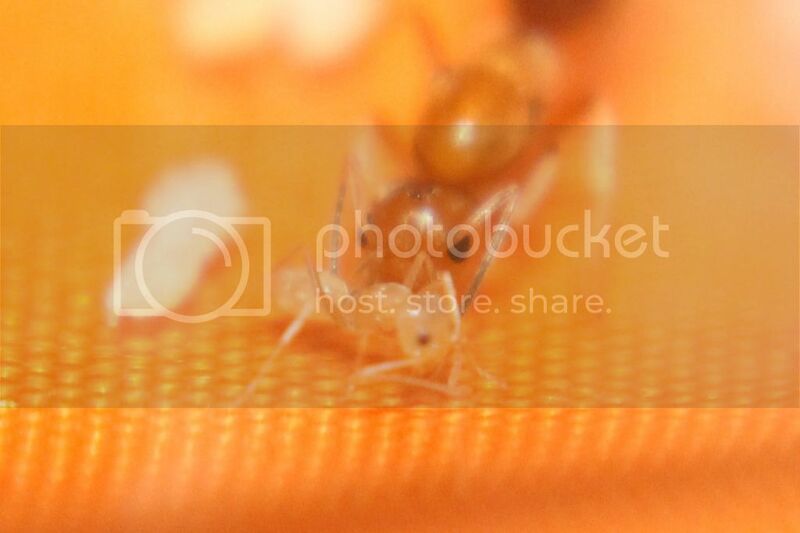 This whole summer, I've been catching Dorymyrmex sp. queens but they always ended up dying whether it be from me accidentally squishing them or if they are infertile. They are fragile queens. But the day before yesterday, 8-4-16, I caught two of them and both of them seem to be healthy. So I am creating this journal because I am confident that at least one of these 2 queens will survive and found a colony. I believe these are either D. flavus or D. bureni. They each have a small clutch of eggs for now. Well I forgot this journal existed but here I am and here is the second post. My Dorymyrmex bureni queen (The one in the pictures in the previous post) has her first nanitic now! 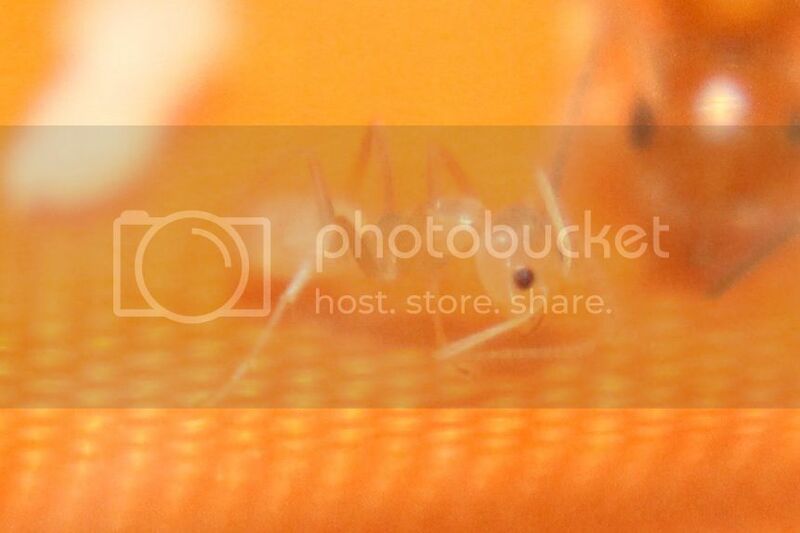 Also, the other Dorymyrmex queen I caught that day is still alive and she is about to have her first worker as well. 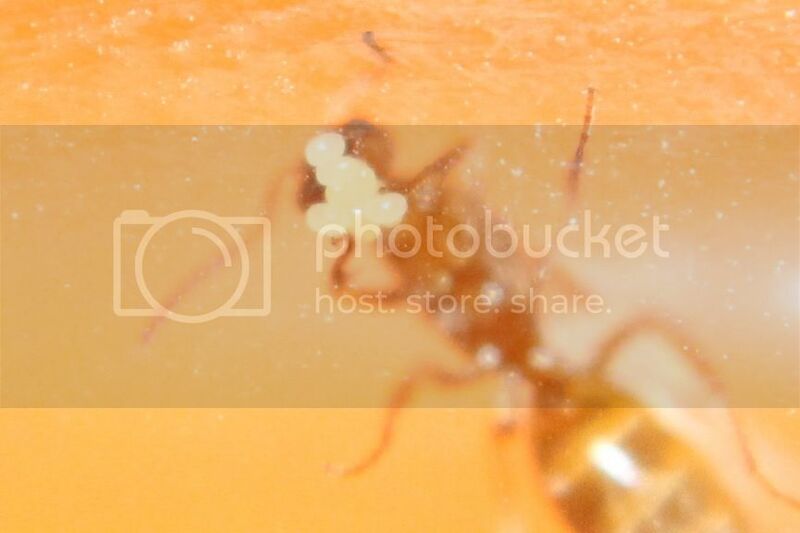 The worker just hatched, so it will get darker. There are also 4 more pupae, one larva, and she just laid new eggs. I have a Tapinoma Sessile which was caught oddly a week ago with no workers, And a parasitic Lasius Umbratus. And recently what i believe is Tetramorium colony(3 queen) that was hiding in some wet cardboard that was soon2be recyled. The first nanitic is obviously darker now and the second nanitic is about to eclose, if it didn't already. I took these pictures like 2 days ago. I fed them a lot of honey so the queens gaster got a lot larger lol. 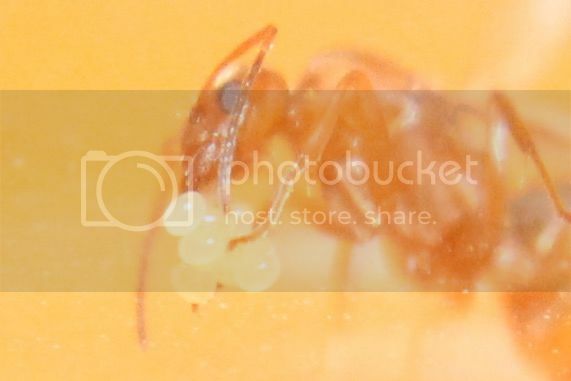 Also, since I see what the nanitic looks like, I am thinking this is not Dorymyrmex bureni, but some other Dorymyrmex species. Im not sure if you still come to this forum but if you do you should give an update. Im curious to see how your colony is coming. Also if theyre still doing well you should upload a picture to here.